Actress Ananya to enter wedlock! Muppozhudhum Un Karpanaigal on Feb 17? No item number for Richa! Wedding bells are ringing loud for Ananya. The 'Nadodigal' and 'Engaeyum Eppothum' actress will marry Anjaneyan, a Trichur-based entrepreneur soon. Their engagement is scheduled to take place on February 3. Says Ananya, "It was my constant decision to leave my marriage to my parents' choice. When Anjaneyan and his family members approached elders in my family with the wedding proposal, my parents found him as the right man." The engagement ceremony of Ananya and Anjaneyan is being organized at the actress's house at Perumbavur near Ernakulam. Wedding date is expected to be fixed during the betrothal function, which will be attended by close relatives and friends. "I don't know whether I will continue acting or not after wedding. Anjaneyan has to decide on that," says Ananya, who is currently acting in a film titled 'Iravum Pagalum'. "I am happy about my parents' choice," she concludes. And that makes Viswaroopam the biggest film in Kamal's career till date! Reportedly the film, produced jointly by Rajkamal International and PVP Cinemas, is made with a whopping budget of 100 crores. According to sources, Kamal Haasan will play the role of a terrorist and the film is rumoured to be a spy thriller on the lines of Mission Impossible series. The shooting of the film is almost complete except the climax sequence which will be shot in Delhi soon. 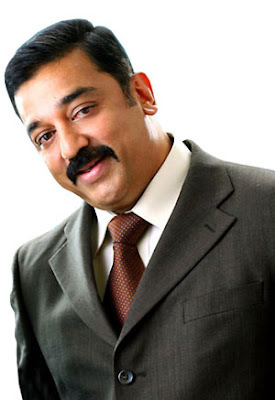 Kamal has also performed a Kathak number choreographed by well-known kathak dancer Pt. Birju Maharaj. Rahul Bose plays the villian while Pooja Kumar, Andrea Jeremiah and Isha Sharvani will also be seen in prominent roles. There are also reports that renowned filmmaker Shekhar Kapur will make a special appearance in this flick which being is made simultaneously in Tamil and Hindi. And finally after much hype and speculations, Dhanush signed his first Hindi film recently. The film, titled as Raanjhnaa will be directed by Aanand L. Rai (of Tanu Weds Manu fame). Interestingly the directed was impressed with Dhanush's performance in Aadukalam (for which he won a National award) and decided to sign him. The film will be set in the backdrops of Banaras and Dhanush is planning to learn Hindi soon. More details on the cast and crew are expected soon. Meanwhile Dhanush is currently awaiting the release of 3, directed by wife Aishwarya. Is there any better date than the Valentine's Day to release a romantic musical? Keeping this in mind R.S. 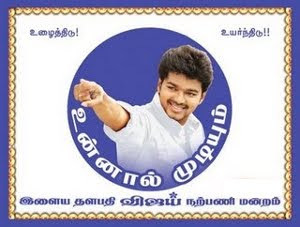 Infotainment, the banner that gave us the blockbuster Ko, is all set to release their forthcoming love story Muppozhudhum Un Karpanaigal on Feb 17, 2012. Directed by Elred Kumar, the Atharva-Amala Paul starrer Muppozhudhum Un Karpanaigal is a full fledged love story based on a real-life incident with many twists and turns. The film is expected to be a visual treat as two songs from the movie are shot in Las Vegas, the Sin City! G.V. Prakash's mesmerizing tracks are already the talk of the town. Trisha seems to be adopting the slow and steady approach in accepting projects. After Samaran, for which she is currently shooting with Vishal in Bangkok, Trisha has signed up for a new project with Jiiva in the lead, to be directed by director Ahmed, whose earlier credentials include Vaamanan. On the new movie, Trisha says that she is impressed with the script and the scope the role provides for her performance. "Besides, I'm cast opposite Jiiva for the first time so that should be fun," Trisha was quoted as saying. Radhika Sarathkumar has filed a complaint against Vishal for a cheque bounce at the Tamil Film Producers Council (TFPC) and Nadigar Sangam. Radhika and her Raadan Mediaworks had taken over the distribution rights of Vishal's Prabhu Deva directed Vedi for Rs 12 Crore. Radhika had got Rs 3 Crore out of selling the satellite right of the film and Vishal had given the balance Rs 9 Crore as a cheque payment. However, the cheque bounced when she presented it for payment.And the actor is refusing to sort the issue says Radhika. Now Radhika, has approached TFPC and Nadigar Sangam to recover back the Rs 9 Crore. Recently a section of the media speculated that pretty lass Richa Gangopadhyay, who became an overnight sensation in Telugu and Tamil, will do an item number in Prabhu Deva's Rowdy Rathore, Hindi remake of Vikramarkudu (which was also remade in Tamil as Siruthai). But the Mayakkam Enna actress has denied such reports and clarified that she has never met Prabhu Deva till date. She also revealed that she is currently busy with the Bengali remake of Vikramarkudu in which she is paired opposite Prosenjith. Richa also said that at point of her career she will rather do roles that are balance with galmour instead of an item number. In fact a smart move, isn't it? They say strike while the iron is hot and who else can understand it better than Kamal Hassan? Well, the Universal Star, who is on the verge of the completion of his upcoming movie Vishwaroobham, is gearing up to make a movie on corruption, which is the current hottest topic of the nation and he has titled the film as Amar Hai. The Nayagan star has confirmed the news and said that he is making the film on corruption. 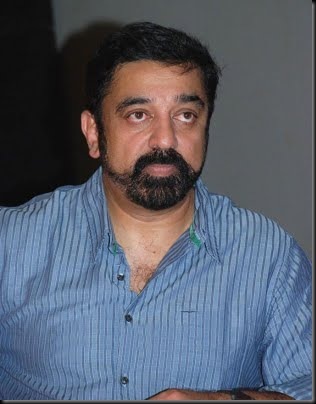 Explaining further, Kamal Hassan claims that the people think the politics as an easy source of making money and his next film will focus on such issues. It may be recalled that the actor was earlier seen in Indian, which was also an anti-corruption movie, directed by Shankar. Amar Hai will be simultaneously made in Tamil and Hindi. Kamal Hassan adds that he wrote the script two years ago but he was giving final touches to the subject. However, his Vishwaroobham shooting is completed except the climax part.